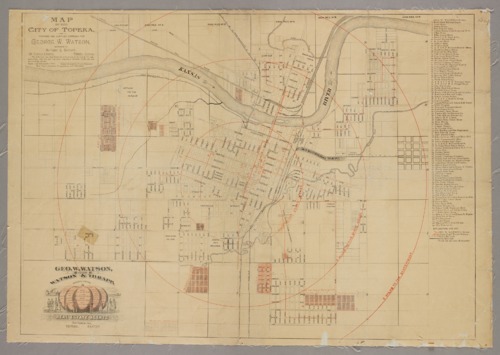 A map of the city of Topeka made for George W. Watson, a local realtor. It shows the city's streets, neighborhoods, railroads, and part of the Kansas river. A list of area businesses has also been included.